There&apos;s nothing like the cottage life! Surrounded by forests, trails, and nature, you might indulge in opportunities to fish, sit around a campfire, or just completely unplug. 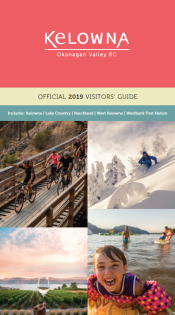 The city is never too far away (but far enough that you feel a world apart), so you can still explore Kelowna&apos;s gems even while claiming your own quiet and secluded piece of cabin paradise.